Damon Krukowski and Naomi Yang started playing music together as the rhythm section, co-songwriters, and sometime singers in Galaxie 500. When that band ended, they continued as a duo, first recording for Shimmy Disc and then on a series of albums for Sub Pop Records. 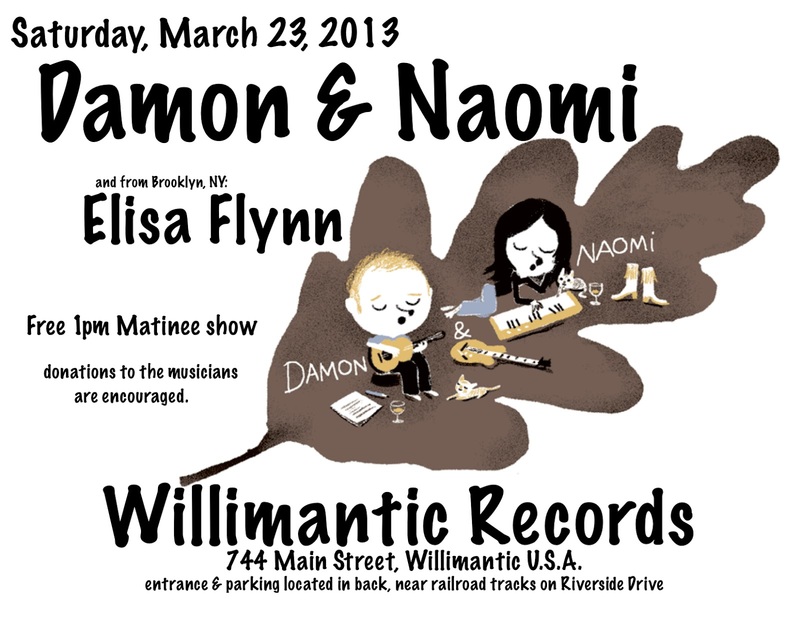 In 2005, they formed their own label (20/20/20) and have since released three further Damon & Naomi albums – The Earth Is Blue, Within These Walls, and False Beats and True Hearts – alongside reissues of their own and the Galaxie 500 back catalogue. A few years later, she bought a $70 sparkly red Sears guitar in a run-down Main Street music shop, and began her musical career in 90’s Danbury, CT, a small city with a quirky local music scene. Learning as she went, she took up playing with a vengeance as a member of Freakbaby (later called Jet Jaguar), a roiling punk and free jazz-inspired combo, for 6 years. 1pm matinee on Saturday, March 23rd.